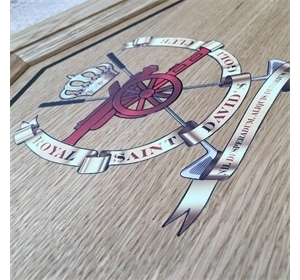 Hand crafted using the best quality materials. Constructed of solid oak frame with oak faced board. 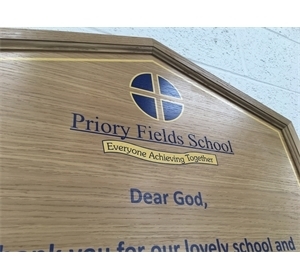 Logo, names and Text applied to face. 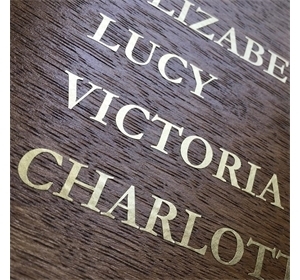 Additional text or names can be added in the future. 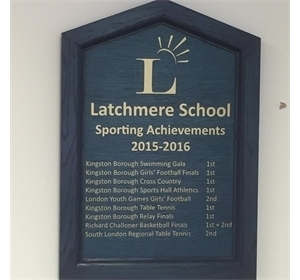 The traditional way to recognise and to record achievement. 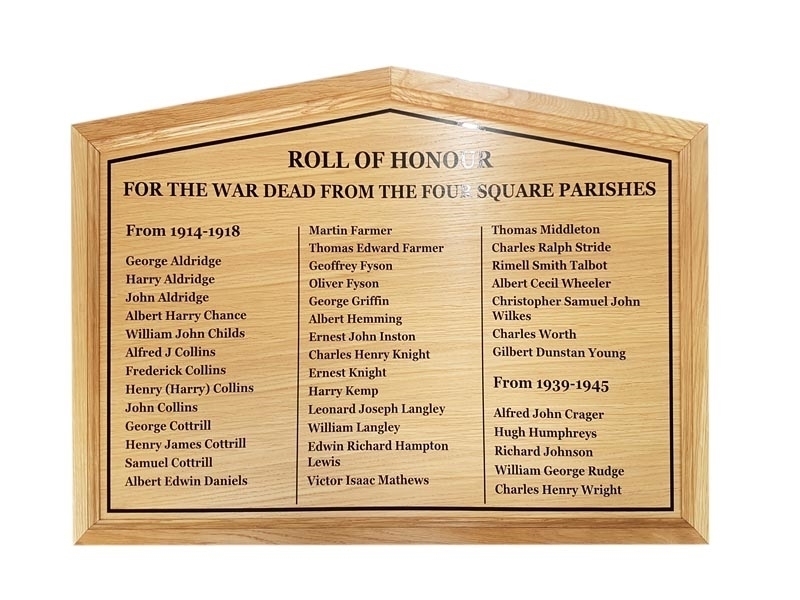 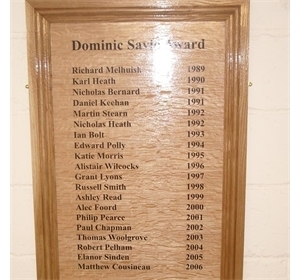 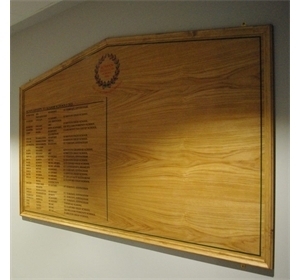 Our classic Honours Boards are hand crafted with a solid oak frame with a raised and moulded edge around an oak face main board. 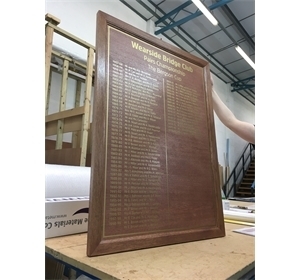 Your logo, organisation name and names text are added by hand, these boards are complete with brass fixings or hidden fixings to the rear. 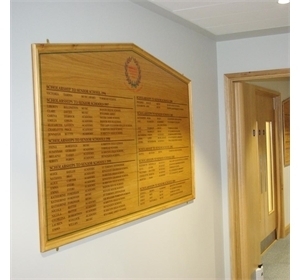 These boards are hand built and they can be made to a specific size or to any of our standard sizes. 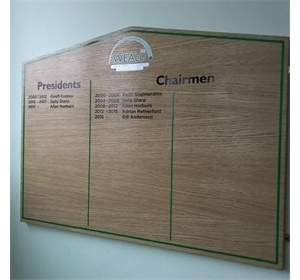 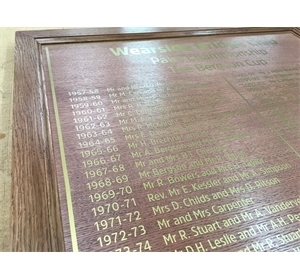 The colour of the wood can be changed to match existing honours boards or decor. 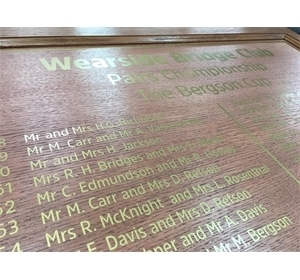 Text colour and font style can also be from our standard ranges or changed to match existing. 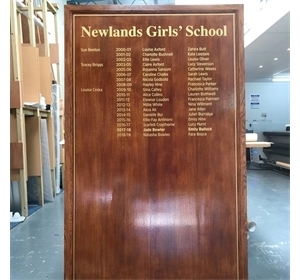 These boards are built to a prestigious standard, they look extremely good and will enhance any location or area.